Preá beach offers arguably better winds than Jericoacoara, more constant and strong in much of the year. The wind of Preá is relentless, just perfect: every day from August to January, with a force of Beaufort 4 +. 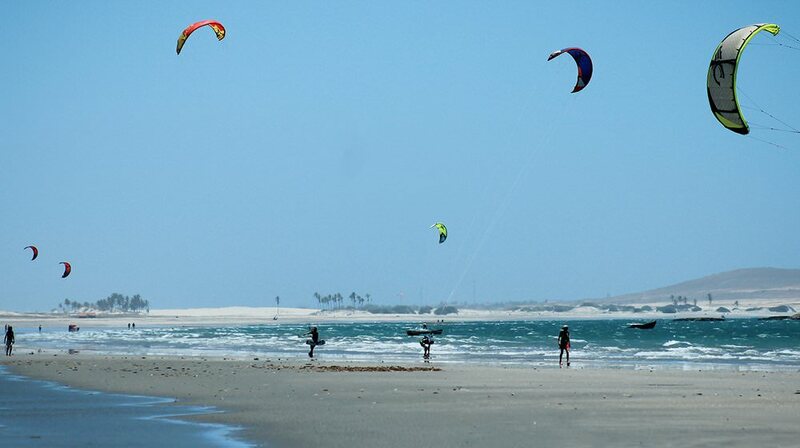 Considered in recent years as one of the best places in the world to practice kite, Preá was elected official kitesurfing beach across the Jericoacoara National Park. 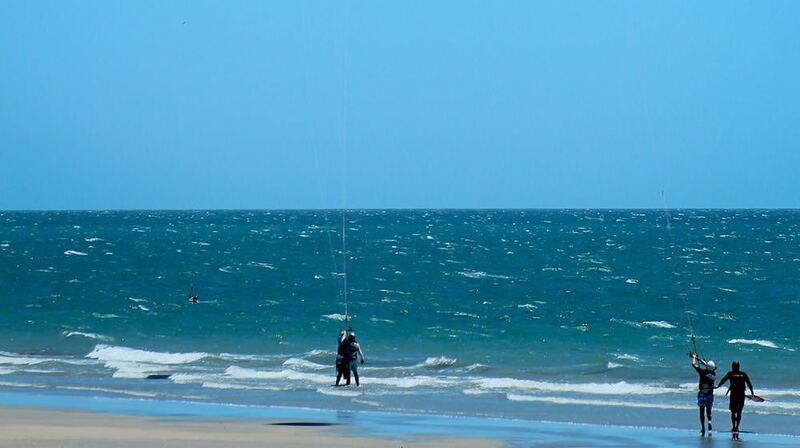 The spot of Preá offers wind side-on-shore toward the right, every day from 11 hours without stones, obstacles, or dangerous objects to security in the kite. A real paradise for lovers of this discipline. If you're a kite lover and want to come to this region indicated the size of kites would be 8-12. The wind and waves of Preá. 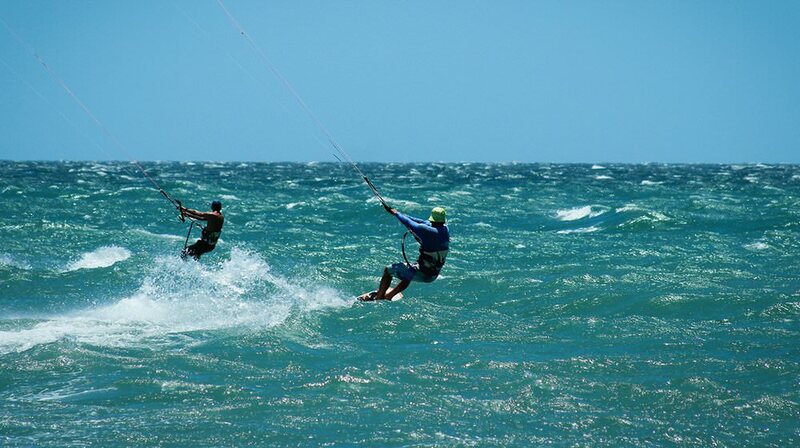 Preá beach has excellent wind conditions, almost every day between July and December, 20 knots in the morning and 25-30 in the afternoon, and drops about 5 knots before sunset. 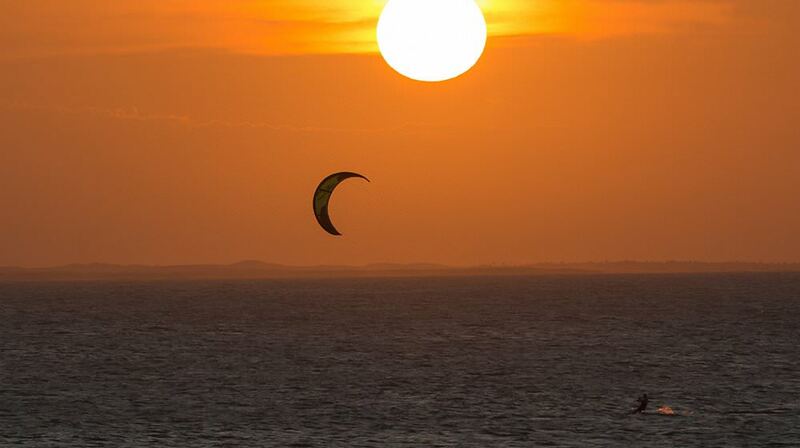 The best time to do kitesurfing are the months of July, August, September, November and December. 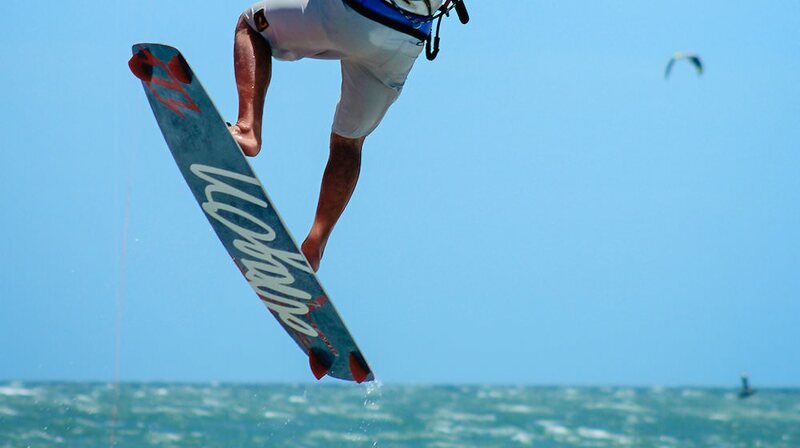 Depending on the month peak wind is measured in knots come to 25 to 35 knots. In September, October and November due to the full moon and the new moon, you can get 35 knots winds in the afternoon of the day. The waves are affected by the wind and ripple phase of the moon. The largest waves reach up to 2 meters. The kitesafaris and downwinders are absolutely spectacular because there are miles and miles wide open with deserted beaches, no obstacles, rocks or objects dangerous to safety in the kite. The wind on Preá Beach is just perfect. 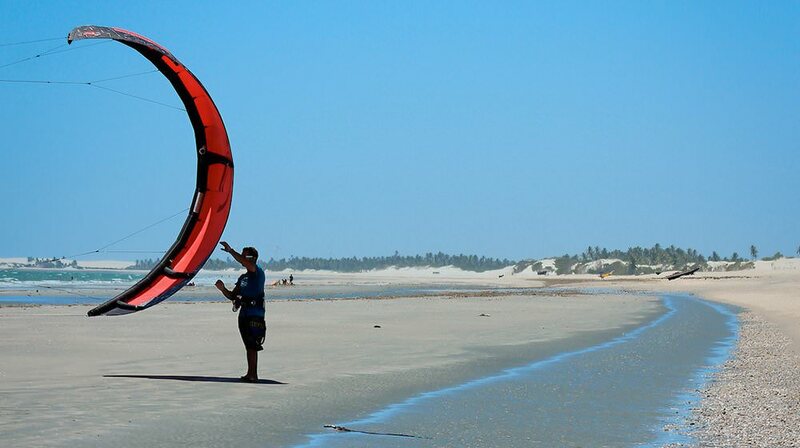 Sitio Phoenix offers a kite school - Play Kite School - with the best and most modern equipment, as well as professional instructors trained by ABK - Brazilian Kitesurf Association. The school is pleased to train new sailors, with tailored classes for all ages and fitness levels. 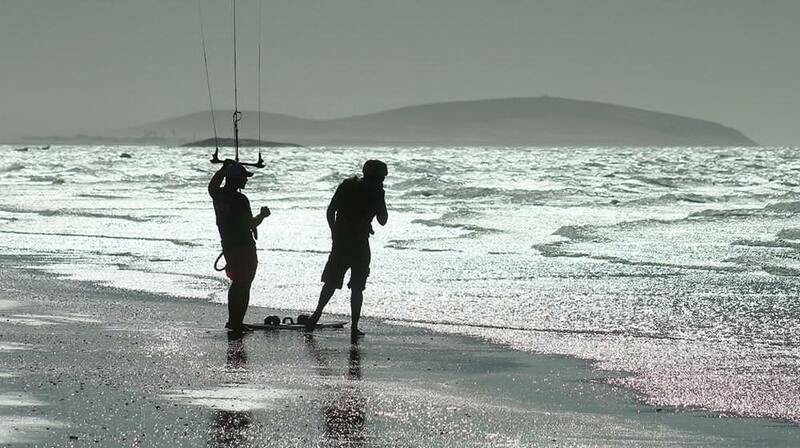 The facilities of the kite school have the last generation equipments and storage service next to the beach. 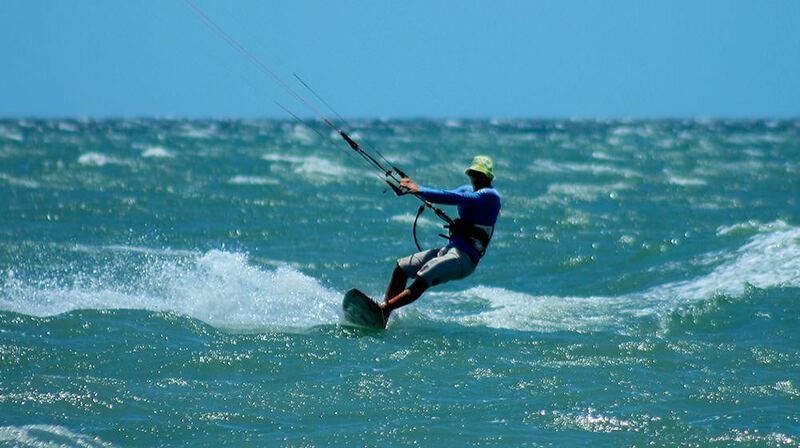 Schedule now your kite lessons in Preá, send us an email, our school is one of the best in the region.